B-100 (B Complex) Sustained Release, 100 Vegetarian Tablets each (Nature's Wonderland) - Penn Herb Co. Ltd. 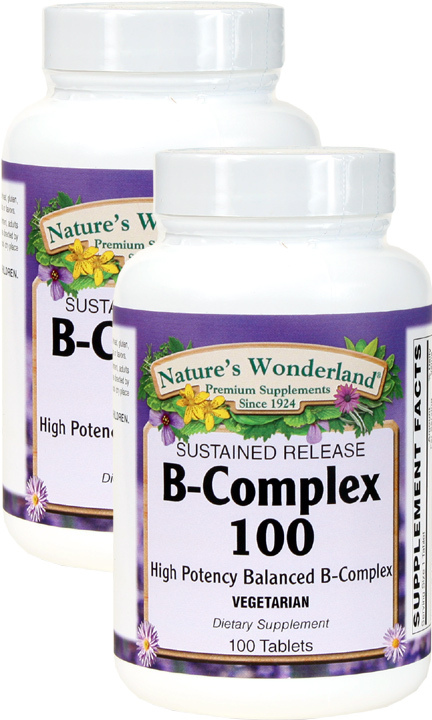 In the body, the B family of vitamins are necessary for energy production, nervous system health, mental function, and more! 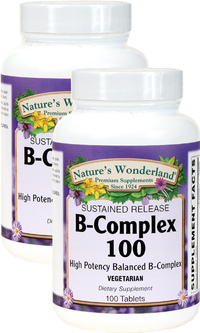 Our sustained release, high potency B complex provides a balanced blend of the major B vitamins. Get the high performance support you need for your busy life! Supports nervous system health; promotes energy production. NOTE: The B vitamins are quickly excreted from the body. Our superior sustained release formula gradually releases nutrients in the body for longer-lasting benefits. As a dietary supplement, adults take 1 tablet daily with meals, or as directed by a health care professional.